Rail covers can be the preferred grip opposed to fitting a vertical hand grip. 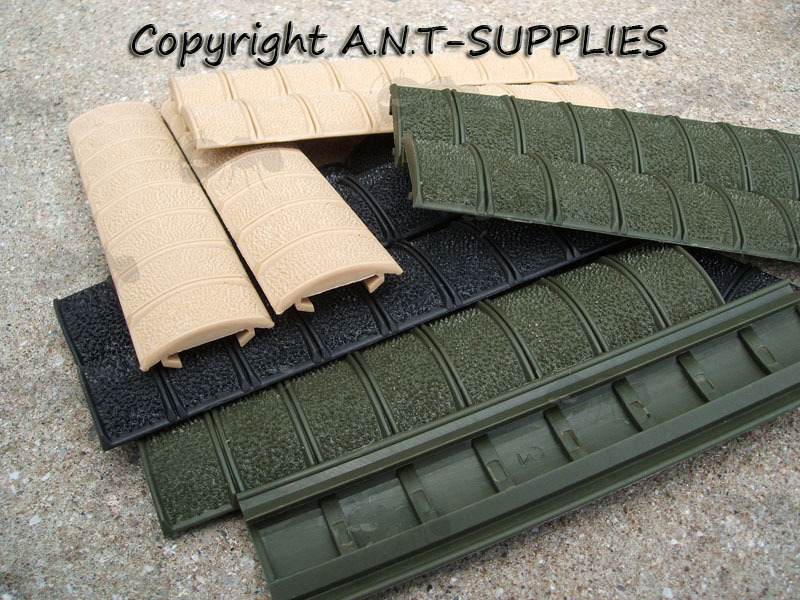 They will also protect yourself and your other gear from damage against sharp rails. 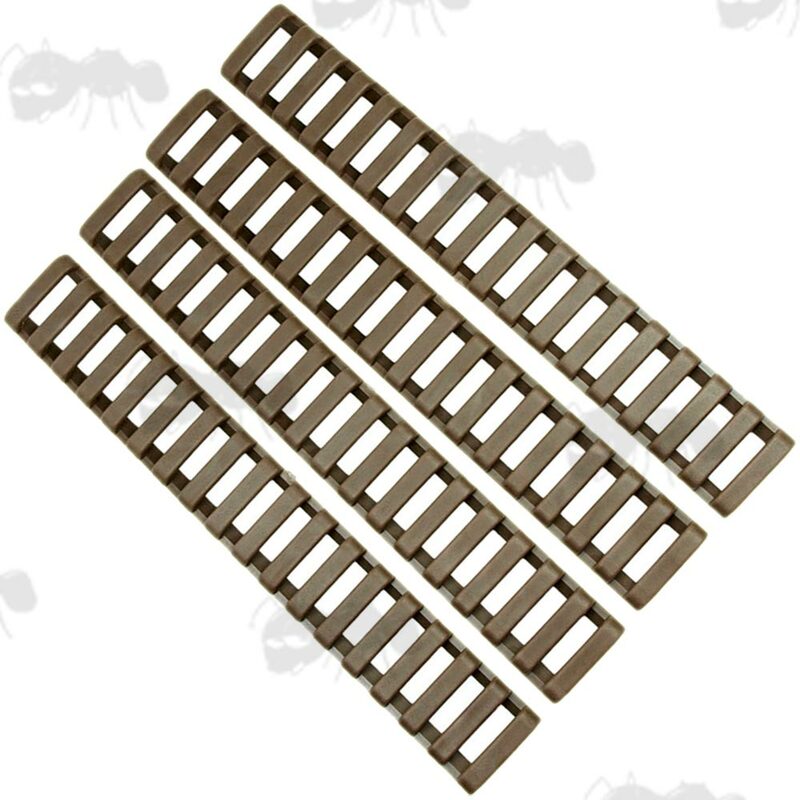 They can be cut to cover smaller sections or mounted next to each other for longer rails. They fit the majority of weaver/picatinny 20mm rails and RAS / RIS forends. 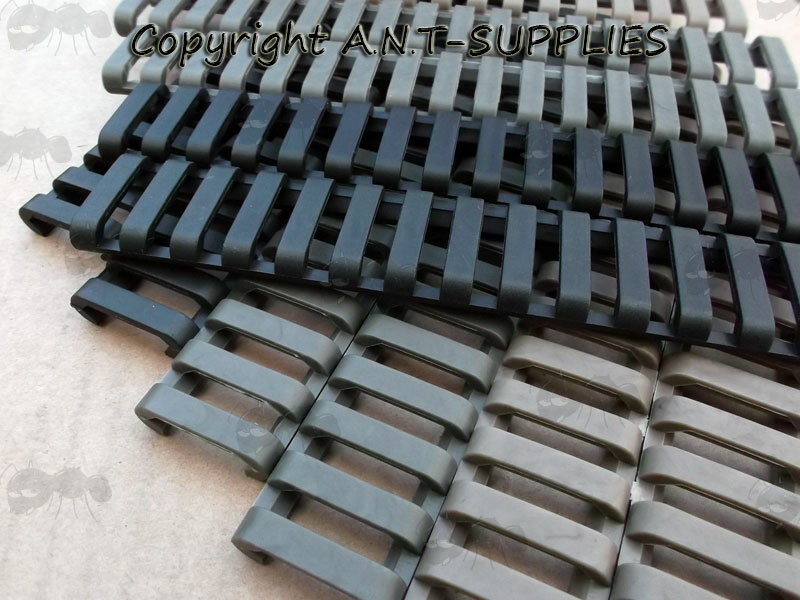 More rail covers available in our AR rifle accessories section. 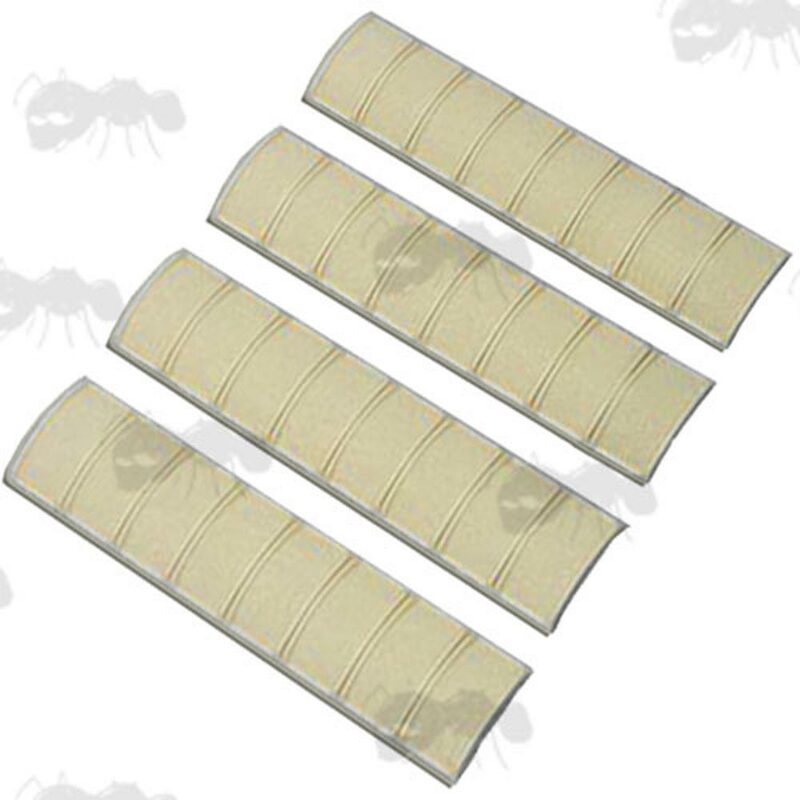 Next > Rubber Ladder Grip Set. 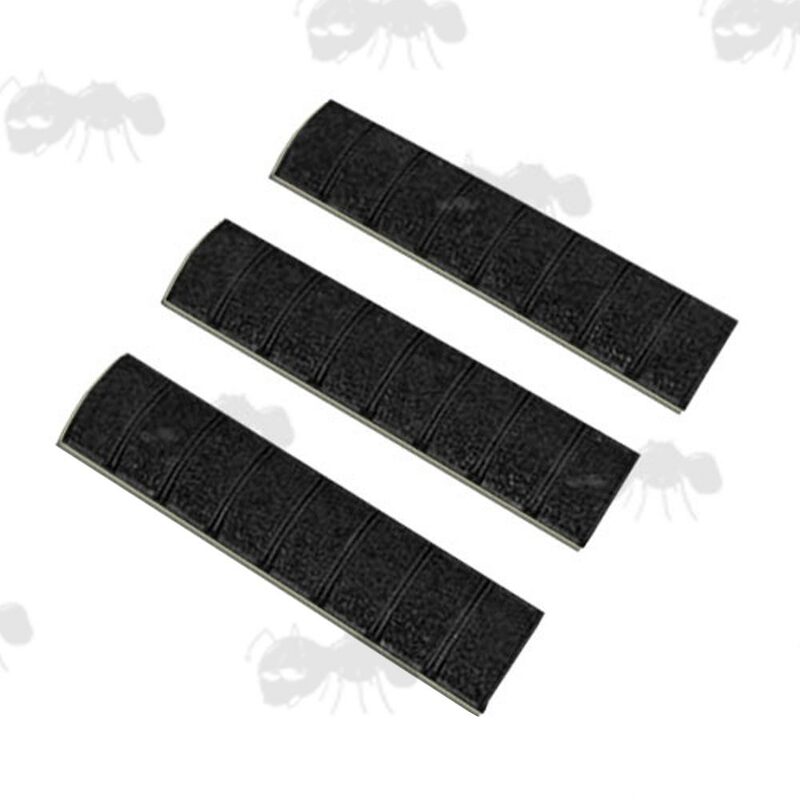 Choice of a pack of three black, or four green or tan, bamboo textured panel grip rail covers. 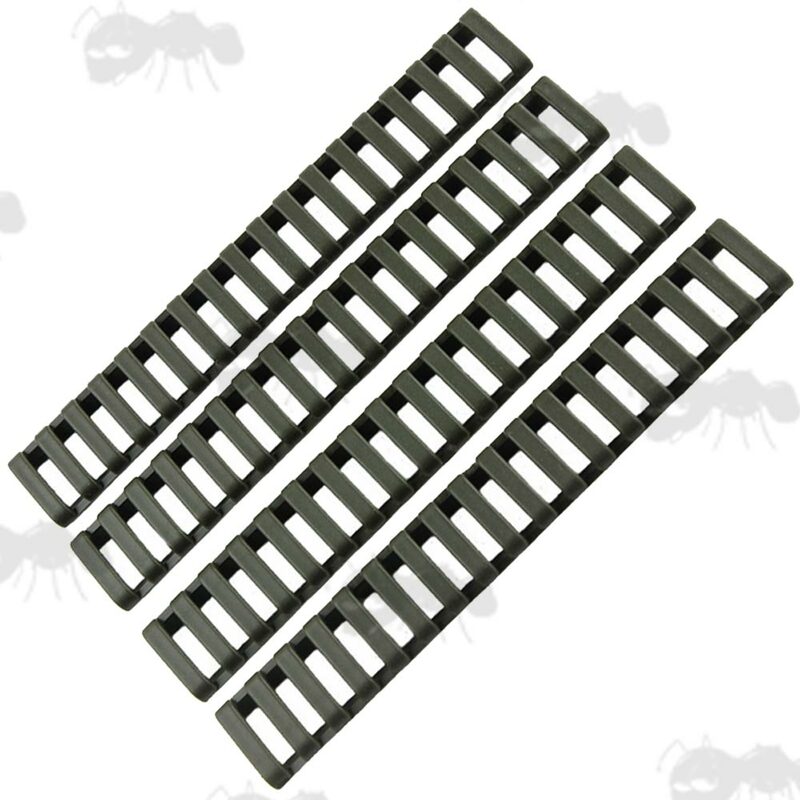 Offers improved grip and protection for unmounted rails. Each is 6¾ inches / 170mm long. 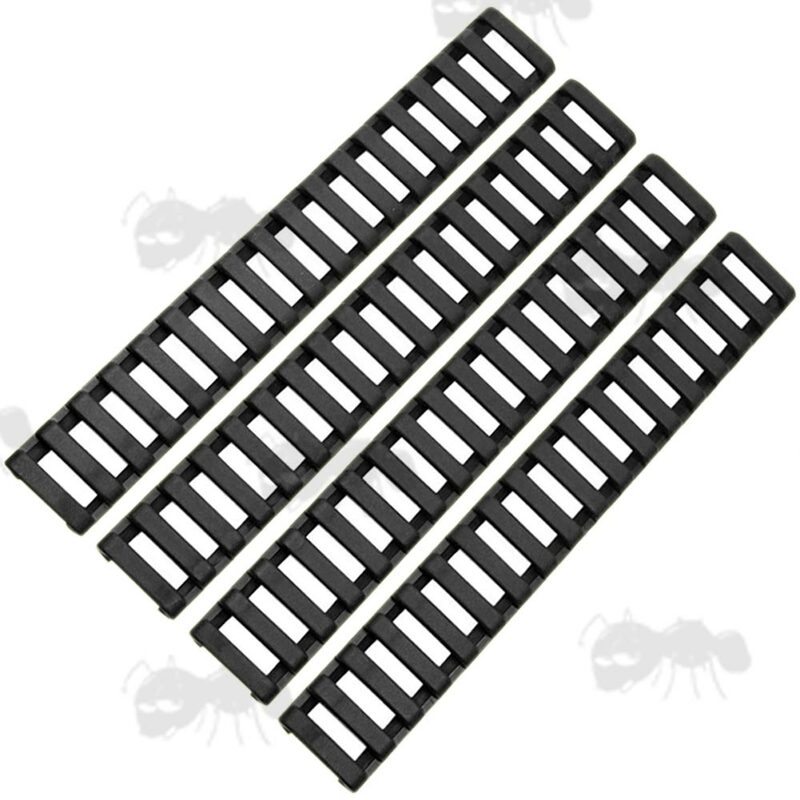 Pack of four low, slim profile ladder style grip rail covers. Santoprene offers an improved rubbery grip and protection for unmounted rails. Please note; they are now all flat, but occasionally some are a mix of two indented and two flat covers.